Hey guys, just thought i’d update you on Newbs plan to take from the rich and give to the poor. The idea is we would like to have monthly contests giving away hats, weapons, name tags etc. for your participation in the Newbs community. How will this work you may ask? Read on.. Okay so let’s face it, the forums need a little spark. Newbs should not only be the best place to play TF2 we’d like to make it one of the best online communities. I think we’re there as far as members go, we just need some participation. The last couple weeks we’ve been making small tweaks to the forums to optimize them. Deleting useless threads, and rewarding those who are contributing good content. For example. 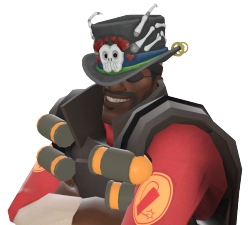 Did you know there’s a TF2 Newbs Steam skin? Sha’.. This is the kind of stuff we’re talking about. Quality contributions are going to start to be recognized and rewarded. INTRODUCING the ‘I Like the Cut of Your Jib’ forum incentive! How does this work you may ask. Simple. I’ll be taking a more active role in the forums and seeking out quality posts and threads. 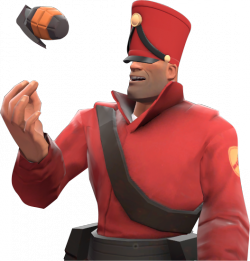 Are you great at soldier and want to give us some tips? Do a write up! Plush sticky bombs? Do it! Hell I think we made the 10 o’ clock news with that one. You get the idea. I made an awesome well thought out thread. Now what? What does that mean exactly? 5 Karma, and 30 50 entries into our monthly drawing of items that we’ll be giving away. How else can you get entries? POST! Every post you make counts as one entry into our monthly giveaway! Okay so let’s recap. What’s going on? Newbs is giving away Hats / Weapons / Name tags / Whatever every month. We’ll have a monthly drawing and the more entries you have the higher your chance of winning! You gain multiple entries by submitting awesome content to the website, and one entry per post! There’s a lot more to this, but these are the basics. 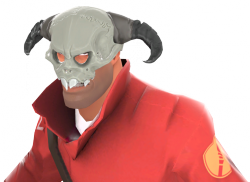 Great content + great posts = TF2 items for free for you. This month we’re starting we’re coming out strong. 1st Place this month gets their choice of Either a Voodoo JuJu or a Spine-Chilling Skull!! All Posts from Nov. 1st to Nov. 30th will count as entries! More info to come, but in the mean time get posting!